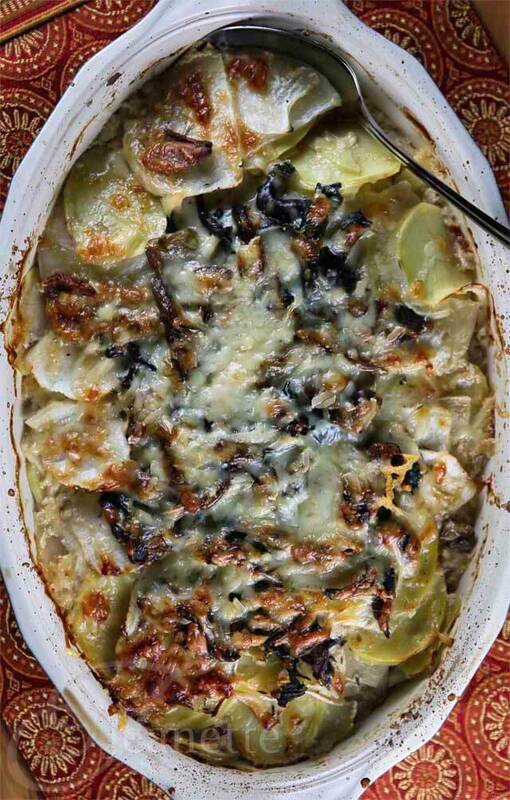 This Potato Turnip Mushroom Gratin is a nice addition to any holiday table, made lighter by the addition of vegetable stock and Greek yogurt. Dried mushrooms bump up the flavor profile in this recipe. Sponsored by Pacific Foods. 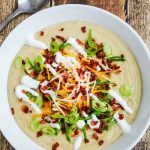 As the weather turns cooler and holiday menus are planned, rich comfort foods seem to make more regular appearances on dinner tables. We crave rich, creamy foods, which are often made with cream and butter. 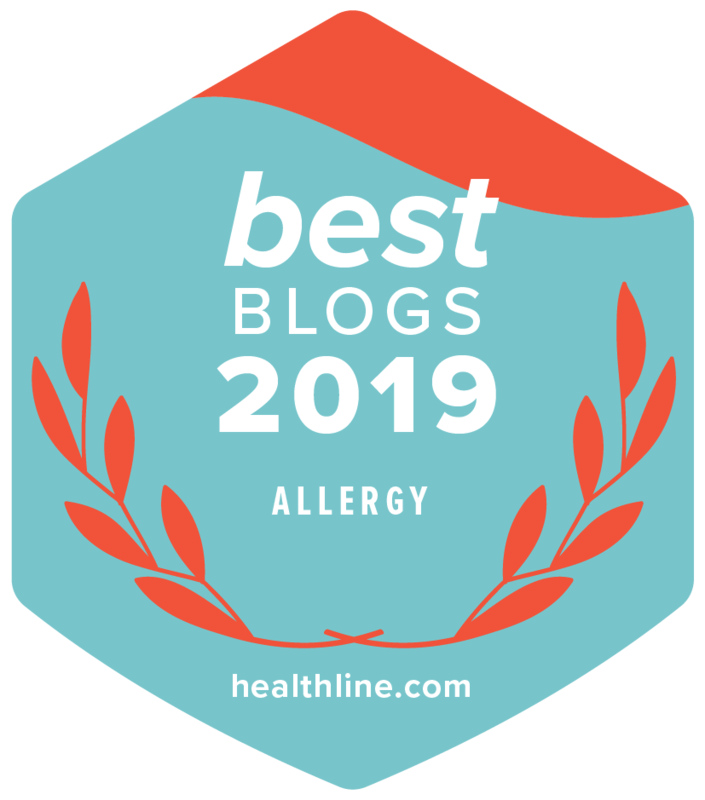 Although cream and butter make almost anything taste good, they add lots of extra calories, especially during the holidays when sweets and desserts are plentiful. So what’s a gal to do? It’s all about balance in my book, especially over the next couple of months when eating healthy becomes more challenging. 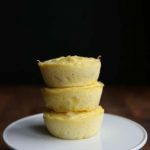 By lightening up recipes where ever I can, I’m trying to keep my weight in check, even with indulgences here and there throughout the holiday season. 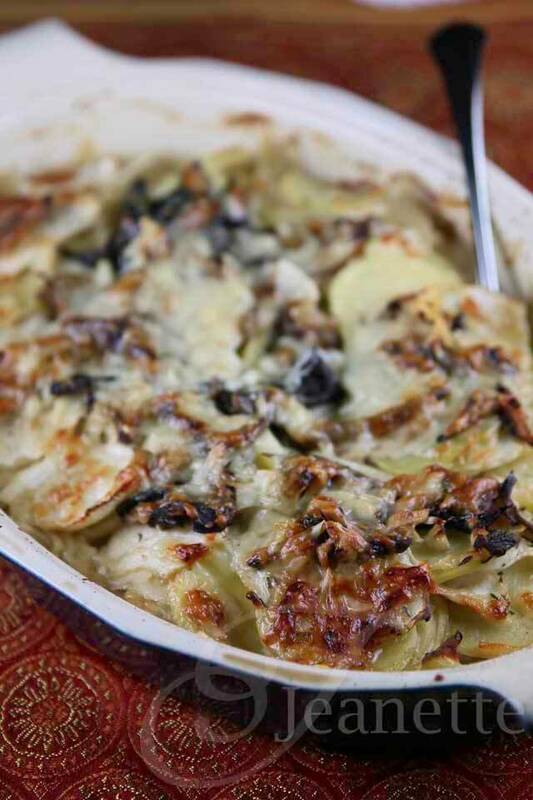 This Potato Turnip Mushroom Gratin is an example of a traditionally rich holiday dish that I lightened up with a few key ingredients. First. 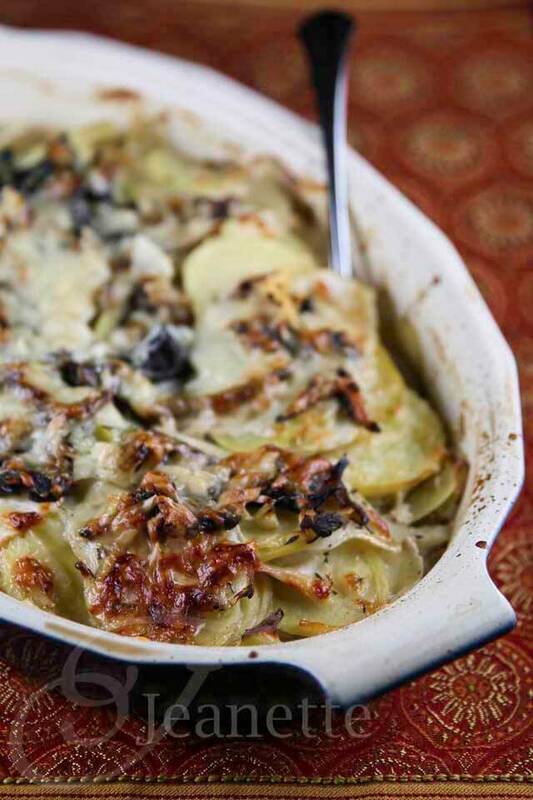 by using half turnips and half potatoes, this gratin is lower in carbohydrates than the standard potato gratin. 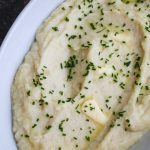 Although the texture and taste of turnips are different from potatoes (they’re firmer and have a stronger flavor), the color is the same, so this half and half mixture is a great way to sneak in some healthier vegetables. 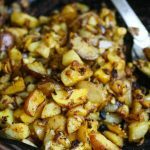 Turnips are high in dietary fiber and vitamin C too, so it’s makes an excellent swap in for potatoes. Second, in place of heavy cream which is often used in gratin recipes, I used a combination of low-fat milk and Pacific Organic Vegetable Stock infused with thyme and dried mushrooms. 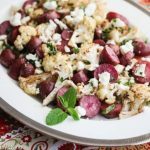 I’ve found that when lightening up recipes, it makes a big difference when you add layers of flavor with vegetables, herbs and mushrooms. I recently came across Pacific Foods’ new line of Simply Stock, which comes in Vegetable Stock and Chicken Stock. They’re organic, salt-free, fat-free and gluten-free, and made with just a few simple ingredients (Organic Vegetable Stock: water, carrots, celery, onions, leeks, mushrooms; Organic Chicken Stock: water, chicken, carrots, celery, onion). Slowly simmered, these stocks can help add depth and enhance the flavor of sauces, gravies, sautes, braises, and gratins like the one I made today. The addition of some non-fat Greek yogurt whisked in provides extra heft and protein, yet yields a gratin that is lighter than most. Although I cut out a considerable amount of fat by leaving out the standard heavy cream, I did use some high quality cheese ~ a mixture of rBST-free asiago cheese and aged raw milk Gruyere cheese. High quality, deep flavored cheeses go a long way. I hope your holiday menu planning is going well. If you have any holiday recipes you’d like help lightening up, just give me a shout in the comments below. 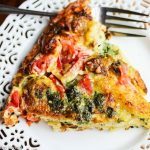 I love the challenge of making recipes healthier. 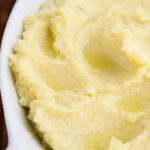 If you’re looking for more Thanksgiving recipes (breakfast, starters/soup, side dishes, desserts) on the healthier side, check out my post 40 Healthy Gluten-Free Dairy-Free Thanksgiving Recipes. Disclosure: This post is sponsored by Pacific Foods. Ooo I love the idea of using greek yogurt for some texture in the cream sauce!! 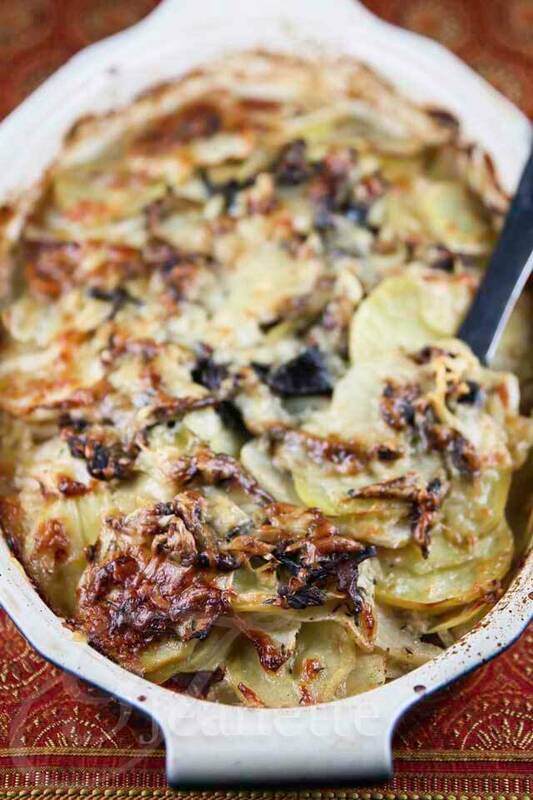 Perfect way to lighten up a gratin! Beautiful! 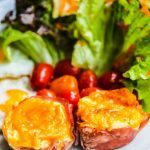 Thanks Joanne – I love lightening up recipes and Greek yogurt is one of the ingredients that I use to make creamy dishes healthier. 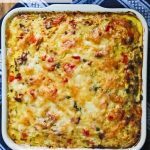 Thanks Kelly – this time of year, everyone seems to crave richer, creamier dishes, so this lightened up recipe lets you indulge without all the fat of a regular gratin. 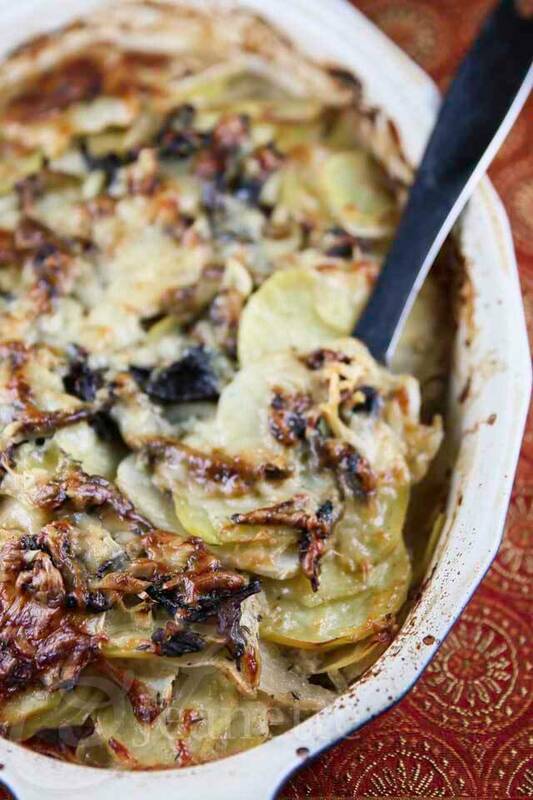 What a gorgeous and delicious twist on a traditional gratin! I love the mushroom addition! I love that the food processor helps in the prep time! Yup, the food processor is my best friend ;). It saves so much time! Holy moly! This kicks the boring normal potato gratin I made last night out of the water. I’m definitely doing this one next time! Thanks Russell! Hope you have a wonderful Thanksgiving! Thanks Meg! I have to say I’m not a huge turnip fan, so I’m always trying to figure out new ways to introduce them to my family. I found mixing them with potatoes helped a lot. This would be tasty! I like the use of the Greek yogurt! Thanks Kevin – I love using Greek yogurt as a healthier substitute for cream in recipes. Saving this for Christmas dinner. I can’t wait. It looks so good, Jeanette. Thanks Shaina – wishing you a wonderful Holiday Season! 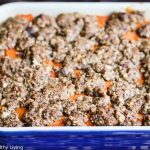 I make a casserole with layers of potato, sweet potato, rutabaga, carrots and onion with dried Italian herbs and stock. I usually put a layer of feta in the middle and make sure the onion is on top under the cheese topping. Crispy onion with cheese is decadent. Kara, thanks so much for your feedback on this recipe – and so glad your kids enjoyed it too. I like your idea of leaving out the egg – let me know if you try that.